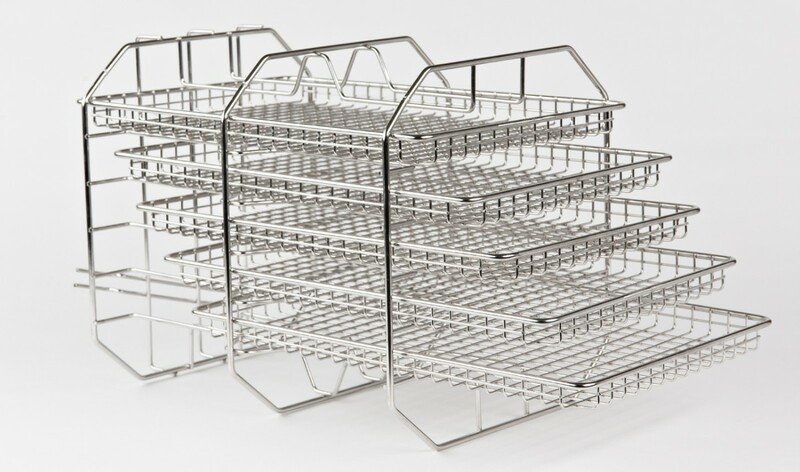 The support is delivered with 5 wire trays for convenient separation of individual materials or instruments on separate trays. Larger area is available for placement of instruments allowing sufficient space between them to ensure no contact. When rotated 90°, the tray support may hold up to 3 layers of cassettes (max height 38mm). 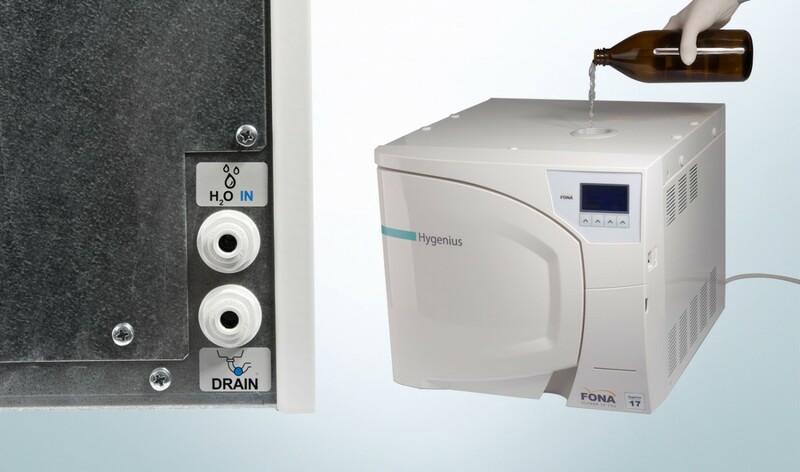 For your convenience, Hygenius supports both typical water filling approaches. Either filling from the top or automatic filling from external tank or distilled water network supply. Direct drainage connection to sewage is located in the rear of the Hygenius. 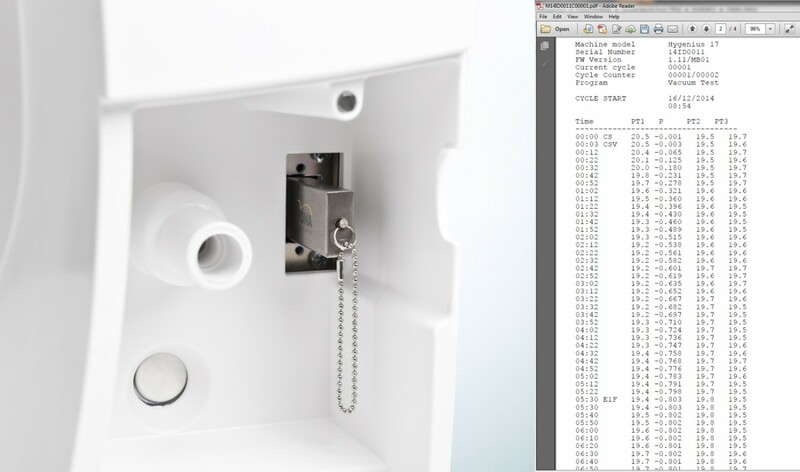 Frontal drainage allows to use Hygenius without direct connection to the sewage. Drain manually at your convenience. 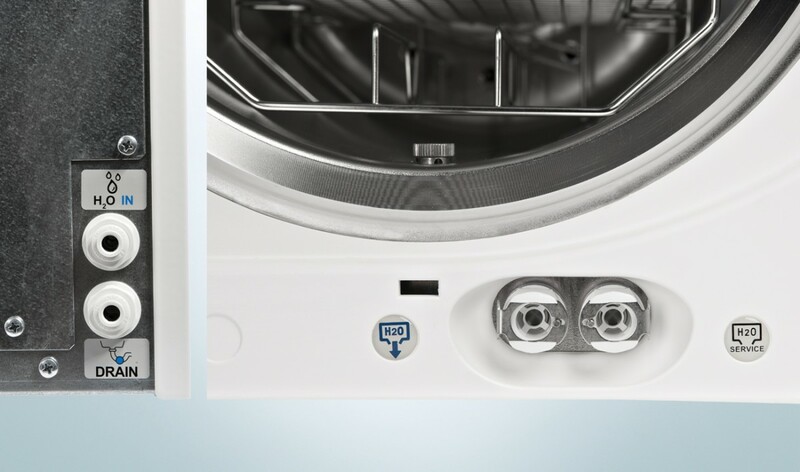 The built-in chamber standby heating may be preset from 30 to 120 minutes. You may decide to use the standby mode to save time in-between the cycles, or you may switch off the standby mode completely to save energy consumption. Internal memory stores up to 500 consecutive cycle reports, which may be downloaded to standard USB storage in PDF format. No need for specialized software. Your reports are easy to manage and integrate with your patient management software. Direct process/report printing is made possible with the optional external printer. 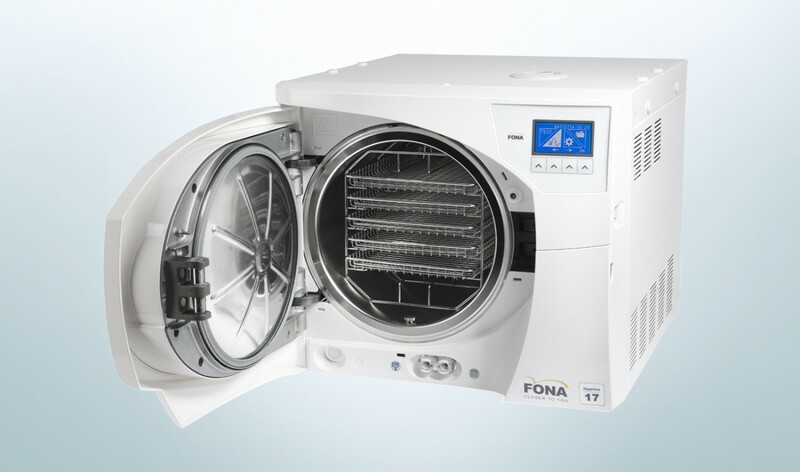 The Hygenius 17 l with the capacity of up to 6 kg of instruments or Hygenius 22 l with the capacity of up to 7,5 kg of instruments are the two available size options. You can choose the optimal solution for your clinic. Designed to meet the highest clinical and safety standards Hygenius generates steam and heat faster. Coupled with active cooling it provides cycle, which is safe but shorter. On top the three point safe closing system includes: door lock, pressure switch, door position safety micro switch. Standby mode for immediate cycle start. Rapid steam injection system for maximum cycle efficiency and faster cycle time. 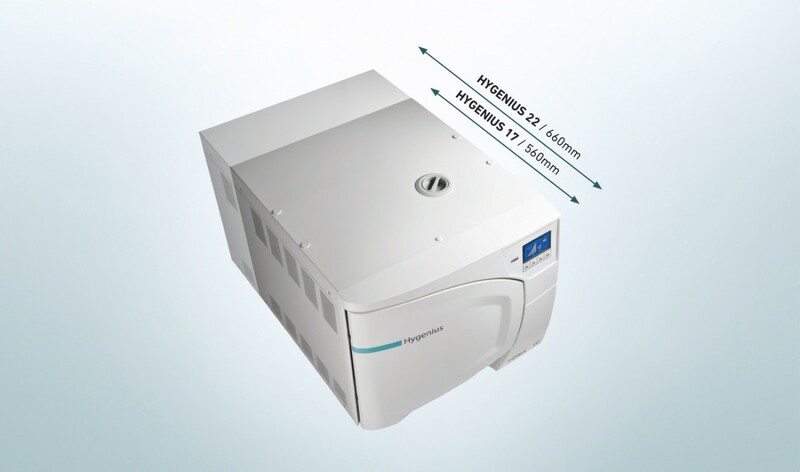 Hygenius uses the innovative calc resistant fast steam generator, and durable chamber heater for reliable performance. 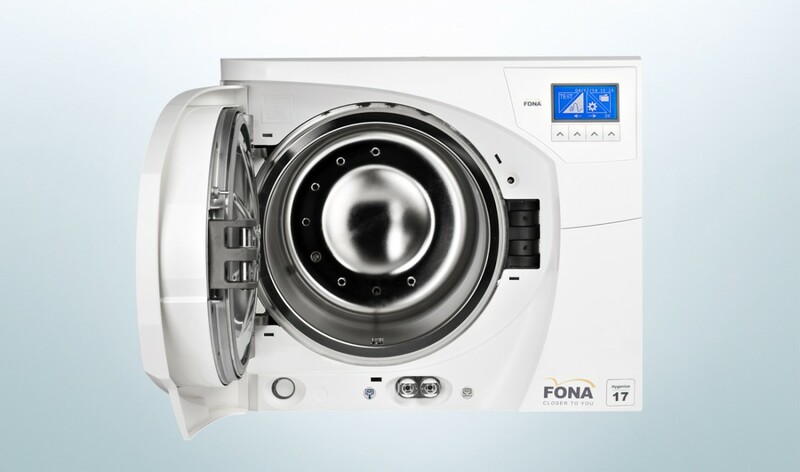 Direct full surface chamber heating with selectable standby mode cuts on the process time. 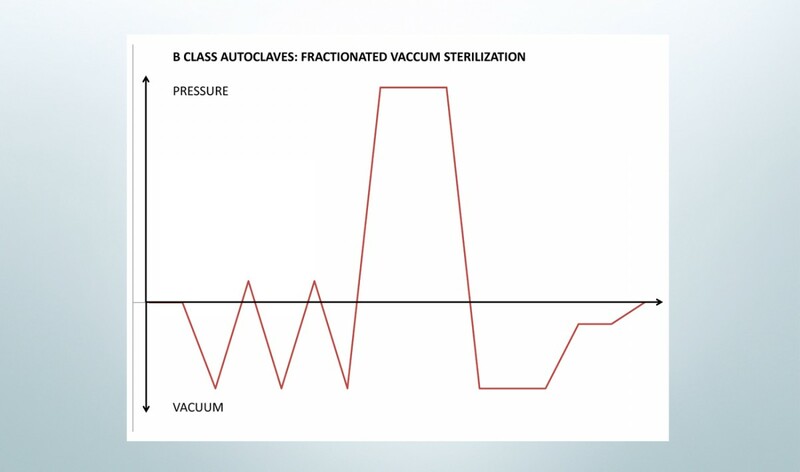 Also the full microprocessor control over the sterilization cycle provides maximum repeatability and reliable sterilization process. Intuitive menu in 21 languages is easy to use and understand. Short cycle start time – start the last used cycle with only 2 clicks, which Hygenius remembers for you. 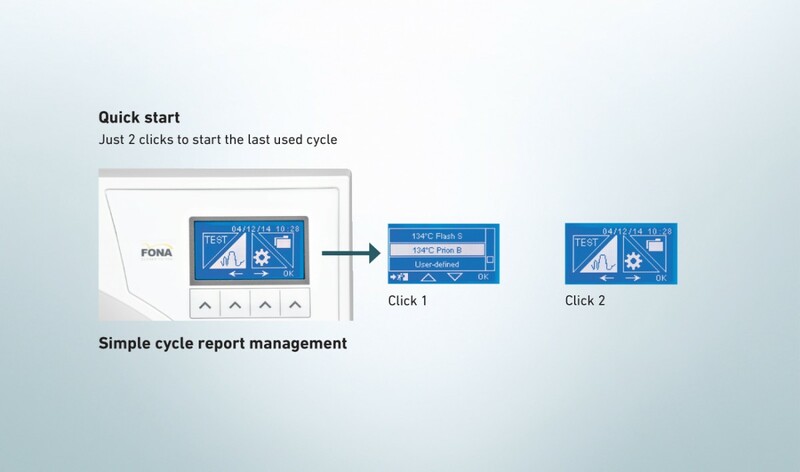 Cycle report management is simple as well via embedded USB or optional external printer. Electronic door sealing and locking ensures effortless use.